Anna Alexeyevna Kamenskaya was born Aug. 25th 1867 in Pavlovsk near St. Petersburg. Her parents were of nobility and of middle wealth, and she passed her early childhood in Germany (in Bawarien and Wurtemberg). From age 9 to 15, she lived in Geneva, Switzerland, and after graduating from school she returned to Petersburg to become a student of the Higher Women College. The financial situation of her parents had deteriorated at that time and after graduating from College she had to work. She taught French language in the gymnasiums of Mesdames Obolenskaya and Stoyunina. Simultaneously with C. L. Helmboldt she started a primary school for children. In the evenings they worked in the free adult school in the workers block. Anna was interested in social issues and took active part in the organization of soup kitchens and people's libraries. The women rights was also of great interest to her, and it was on that ground that her relationship with A. P. Filosofova got started. Anna Kamenskaya made her acquaintance with theosophy through Nina Gernet who was a friend of her since childhood, and was remotely accepted as an independent member of the English Section of the Theosophical Society. In 1902 she visited London and attended lectures of Annie Besant. On her return to Petersburg she began her active theosophical work. She had a strong will and knew well what she wanted and what she strove for. There was much charm in her, and all who knew her personally talked about her with praise. These character traits helped her to draw around her the talented and devoted workers, such as Cecilia Ludwigovna Helmboldt, Varvara Nikolayevna Pushkina, Yelena Fiodorovna Pisareva, Anna Pavlovna Filosofova, Sofia Vladimirovna Gerie*, Yelizaveta Wilhelmovna Radzevich, A. V. Uknovskaya, Pavel Ilyich Timofeyevsky*, Kirpichnikova, Mintzlova*, Laletin's* pair, Evgeny Mihailovich Kuzmin*, Dr. Viktor Viktorovich Gintze and many others. * Many of the persons mentioned were still living in the USSR, and to avoid endangering their lives, the author did use dots instead of writing their name when corresponding. I marked by an asterisk those names which I tried to guess, so errors are possible. – Transl. note. Anna Kamenskaya lectured and organized circles for people interested in theosophy, and in 1909* the Russian Theosophical Society was established, with branches in other cities of Russia. Anna was elected president. Headquarters were in Petersburg, Ivanovskaya 22 f.24. Anna was also president of the Petersburg branch. Other branches were in Moscow (pres. S. Gerie), in Kiev (Y.V. Radzevich, then E.M.K. ), in Harkov, in Kaluga (E.F.Pisareva), in Rostov-on-Don, in Yalta, and in 1921 in Zhitomir (V.V. Gintze). In some cities there were no branches but groups of theosophists and inquirers existed, as in Poltava, Kislovodsk and others. The German theosophical circle of Petersburg, which held meetings at Mrs. Pantenius joined the Russian T.S.. Almost every year Anna made lecture tours in Russia, visiting not only those cities which had branches but several other cities where lecturing was possible. She didn't lose her contact with International T.S. and regularly attended the theosophical congresses. * Most sources say 1908. – Transl. note. In the Petersburg branch she led the studies and organized public lectures on a regular basis, which as a rule were presented in the hall of the Tenishev College. She read most of these lectures herself. One of those lectures, "What is Theosophy", was published. It was a small booklet in which the basics of theosophy were laid out in simple, clear and serious form. Though activity of the Russian Theosophical Society began after 1905, when the freedom of speech and meetings was officially permitted in Russia, the government was not very friendly disposed to public lectures. In 1910 or 1911 the prosecutor accused Anna of sacrilege, for in one of her public lectures in which she expressed doubt that the emperor Constantin the Great was a saint, because the facts of history proved the contrary. The court process took place and Anna was thoroughly vindicated. It was a governmental attempt to discredit the T.S. in the eyes of the Russian public. After the "Russian Theosophical Society" [R.T.S.] was started, Anna widened her activity. She started the magazine "Vestnik Teosofii" (Messenger of Theosophy) which was issued 10 times a year. It was voluminous and a serious magazine, around 100 or more pages, which printed both original and translated articles. She always wrote an editorial "On the watchpost" and for the most part she also was responsible for the sections "Theosophical chronicle", "Bibliography" and "Spiritual search". She often wrote forewords to the theosophical books which were published. Between 1908 to 1919 the "Vestnik" (in Petersburg) and "Lotos" (in Kaluga, run by E. Pisareva) publishing houses issued more than 40 titles of theosophical books, some of them going through a second or third printing. Anna Kamenskaya and her sister Margarita Alexeyevna Kamenskaya* came to Adyar in 1916. Anna lived there for more than a year. Besides personal work, she studied Sanskrit manuscripts, and same resulted in her excellent translation of The Bhagavad Gita. ** While retaining many Sanskrit words which gave the style to the Lord's Song, she succeeded to put it down in simple and clear language, in spite of the very abstract content. * At the beginning of the 1920's M. Kamenskaya was Gen. Secretary of German Section of T.S. ** Till now this translation is one of the two best translations to the Russian. – Transl. note. After the October Revolution, the bolsheviks didn't pay much attention to the societies which had no political interest. But in 1921 they decided to put an end to all "bourgeois leagues" and started to repress their leaders. But shortly before their planned arrest, Anna Kamenskaya and Cecilia Helmboldt succeeded in crossing the border into Finland. As per Annie Besant's wish, they settled in Geneva. The Swiss Section of the T.S. were experiencing some problems at that time, and they succeeded to revive and harmonize work of the Section. Anna began to receive letters from the Russian refugees from all around the world, and soon through her intermediary helped organize entire groups. Thus in Tallinn the lodge "Kitezh" was born, "St. Grail" was formed in Riga, "Yaroslav Mudry" (the knight Yaroslav the Wise) in Belgrad, "Yedinenie" (Unification) in London, "The Russian Lodge" in China, Tienzin, "Vasanta" in Prague, "Giordano Bruno" and later the group "Vladimir Krasnoye Solnyshko" (knight Vladimir the Red Sun) in Geneva. In 1925 there were already 7 Russian lodges outside Russia, which were in contact with Kamenskaya and were willing to join Adyar. A. Kamenskaya, C. Helmboldt and V. Pushkina attended the Golden Jubilee T.S. congress in Adyar. At the meeting of the International Council Anna proposed the formation of the "R.T.S outside Russia" on the basis of the 7 lodges scattered over the world. The T.S. in Russia was already closed down at that time, and it was important to preserve the Russian theosophical movement abroad. It enabled the continuation of the theosophical work according the traditions worked out in Russia and to prepare new theosophical workers. 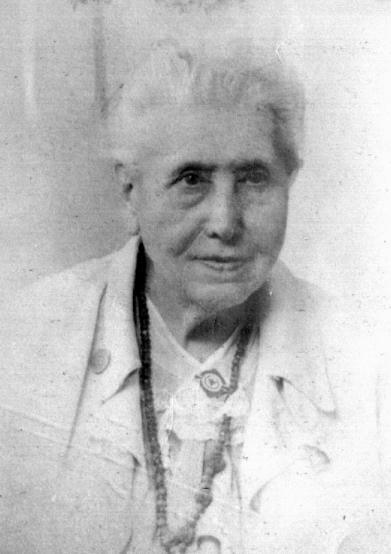 Dr. Annie Besant, President of the T.S. supported her proposal and pointed out that no society could foresee such a historical situation that "heart and brain" of the country was kicked out by the revolution. The Council hesitated, for according to T.S. constitution each section must have its own territory, but being fascinated by Besant and Kamenskaya's speeches, it unanimously chartered "R.T.S outside Russia". Sometime later due to the political situation and difficult circumstances some lodges ceased their work, but new centers were born during that period: "Alkonost" (a mythical bird) and "Blagovolenie" (Goodwill) in Paris, "Bely Lotos" (White Lotus) in Belgium, "Svetlana" in Boston, "Zhar Ptitza" (Firebird) in Berlin. From the time of the organization of the "R.T.S. outside Russia", Anna had renewed the publishing activity. The "Messenger" began publication in the form of small brochures. Anna Kamenskaya and Cecilia Helmboldt received financial help from the European Federation of the Theosophical Society and from lodge "Svetlana" for support of the publishing house. E. Pisareva helped much by her excellent translations. They printed around 20 books, among which were the extensive ones such as "Ancient Wisdom", "Esoteric Christianity", "On the hidden meaning of life" (by E. Pisareva) and a section on Symbolism from the "Secret Doctrine". In 1926 Anna received a doctor's degree from the University of Geneva for her translation of "The Bhagavad Gita" from Sanskrit to French. * Until 1950, she lectured at that university on comparative religion; later on she accepted a second chair for aesthetics. * In 1925 she has also published the corrected Russian translation of "The Bhagavad Gita": Paris, Editions Adyar, 1925. – Transl. note. * Another reason was that during the war, many lodges closed and as there were not seven lodges anymore to maintain the status of a section. – Transl. note. And so the "R.T.S. outside Russia" was replaced by the "Free League of Russian Theosophists Outside Russia" and again under the direction of Anna Kamenskaya. It was rather a spiritual association than an official organization. When the war was over, countless letters were received by Anna from camps in Germany and Austria. In spite of her old age and her work of two university chairs, she succeeded in answering letters promptly. Through her, persons found each other. And as it became possible, she began to send them theosophical literature from her bookstore that had survived (stores in Germany and other places having perished). Upon hearing that someone was in need, she would send a food parcel. Her letters shone with such love and warmth of heart, that everyone naturally considered her their mother. In all their troubles they asked her for advice, and always received a prompt and wise answer. Most of the Russian theosophists were individually spread over camps and cities of Germany, but in Munchen, the "Lotus" lodge was formed while in Schwabisch Gmunde, a theosophical center was started. * Such kind of a magazine was passed through the chain of readers which sent it from each to another by mail. – Transl. note. During her short sickness she continued to work in spite that the doctors prohibited her to strain herself; she never cared much about her health. On the 23rd of June 1952, in sleep, she left the physical plane. She was almost 85 years old. It was the life full of service to others, the life in which she embodied theosophical ideals. There's no doubt that even now, being on higher planes, she strives to help Russian theosophists and makes efforts to unite them. Everyone to whom the spiritual life of our motherland is dear, will honour the memory of this noble and selfless soul. To the title page "Theosophy in Russia"